Lots to share and celebrate today. 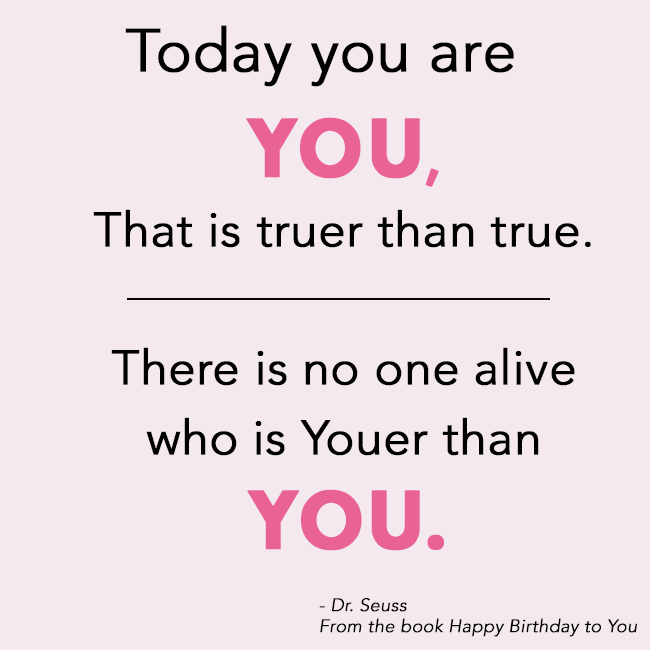 It just so happens to be the birthday of Dr. Seuss, had to share one my favorite quotes. I had the idea of Marker Girl being a part of my business about 5 years ago and when I mentioned it to people they would look at me like I was crazy. But when I mentioned it to Mom’s they got it. One Mom in particular really got it and never let me give up on it. That Mom was Tobi Fairley my business coach and someone who I truly consider a mentor. 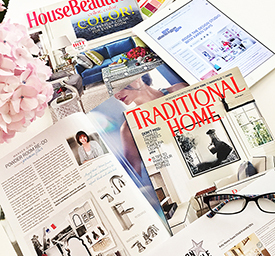 Check out her wonderful interior design mastermind programs, products, and gorgeous Interior Design. Marker Girl isn’t just about Family Friendly it is about being true to who you are that original authentic you. I was a kid who couldn’t follow others I had to just do it my way or it never felt right. Marker Girl is truly about living in a way that makes you happy and feels right. So why am I celebrating? 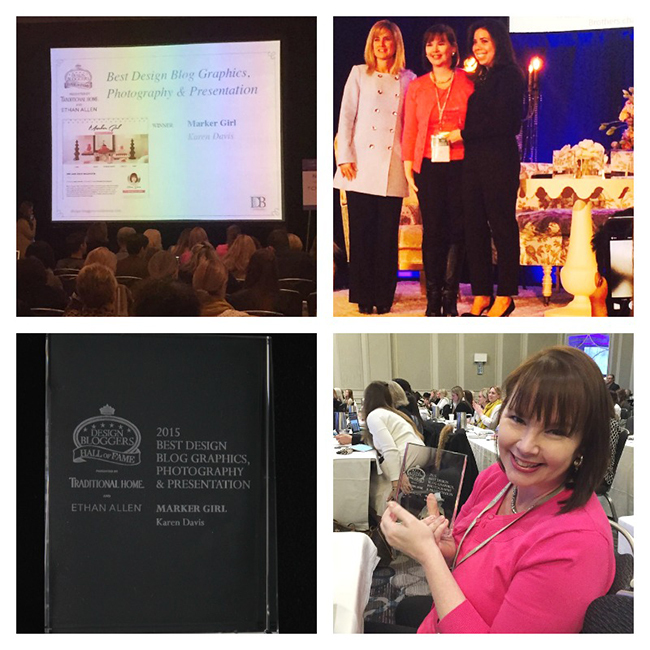 This past week I attended my 4th Designer Bloggers Conference headed by Adam Japko. They have the Hall of Fame awards. I decided this year to try for it, I am truly proud of my site and what I am trying to do with it. It is truly authentically me. To my absolute surprise I won for Best Designed Blog. 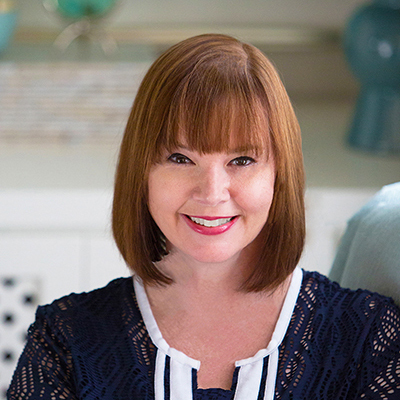 I have to thank my graphics person Christine – Deluxe Modern for her help with creating my vision into beautiful graphics, Kate Brooke Designs for pulling it all together – building the blog site and my talented husband Richard who has photographed my work. It takes a team to help build your vision. A big thanks to my friends and family for the support. 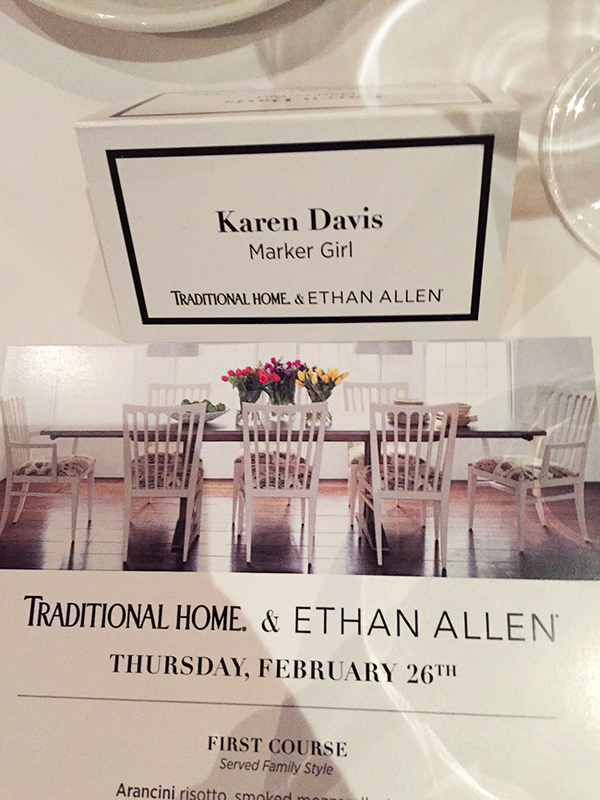 I was treated to a wonderful dinner that evening by the sponsors Ethan Allen and Traditional Home. A big thank you to them too! 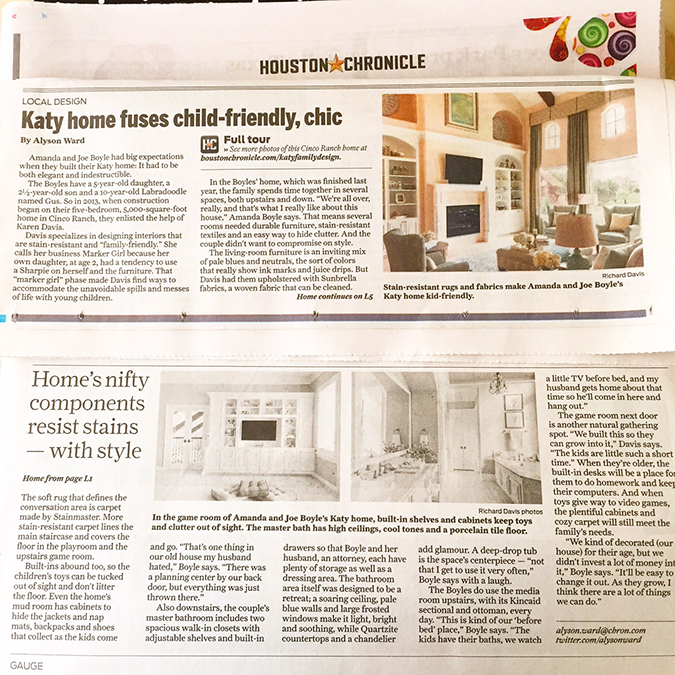 Then when I got home from my fabulous trip I was again filled with joy to see one of my clients projects featured in the Houston Chronicle our local newspaper. 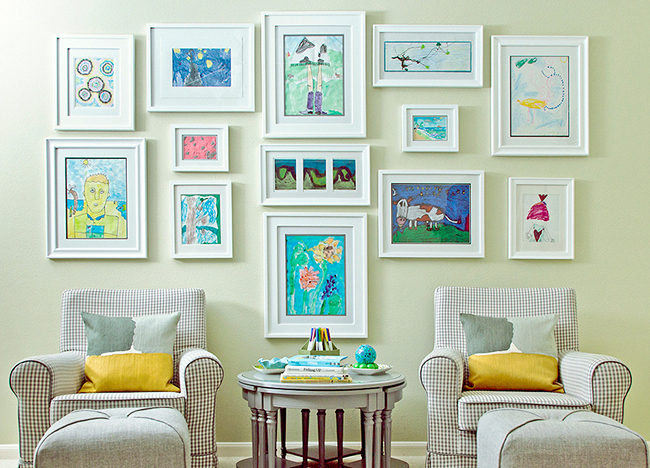 Thank you to the Boyles for giving me that opportunity and being wonderful clients. Stayed tuned Wednesday for my takeaways from the Conference and Mastermind Days last week! I actually got to meet Nate Berkus. I keep thinking I am going to wake up and this was all a dream!